When a person is addicted to alcohol or drugs, it’s not easy to give up on addiction. The cravings and withdrawals that happen when on a sober journey make it difficult to stay away from drugs you’re addicted to. These symptoms are enough to discourage an addict, or provoke them towards a relapse. More than 20 million adults in the U.S. are addicted to drugs or alcohol and over 5 million patients are admitted to emergency rooms every year due to a drug overdose. However, due to the fear of experiencing severe withdrawal symptoms, they tend to give up their hopes of recovery. When a drug or alcohol addict suddenly stops substance consumption, they are likely to face painful conditions, also referred to as withdrawal symptoms. You should rather consult medical professionals in a rehab center to get rid of addiction in a safe way. During the initial stages, withdrawal symptoms are mild. However, if you don’t receive medical treatment, you may end up risking your safety. It’s best to join a rehabilitation program so as to recover from addiction under the supervision of healthcare professionals. There are natural ways to keep both your mind and your body on the right path towards sobriety. After leaving rehab, it may be best to avoid intaking anything that could be harmful or addictive. If this is something you’re concerned about, consider using essential oils to manage withdrawal symptoms at your doctor’s advice. 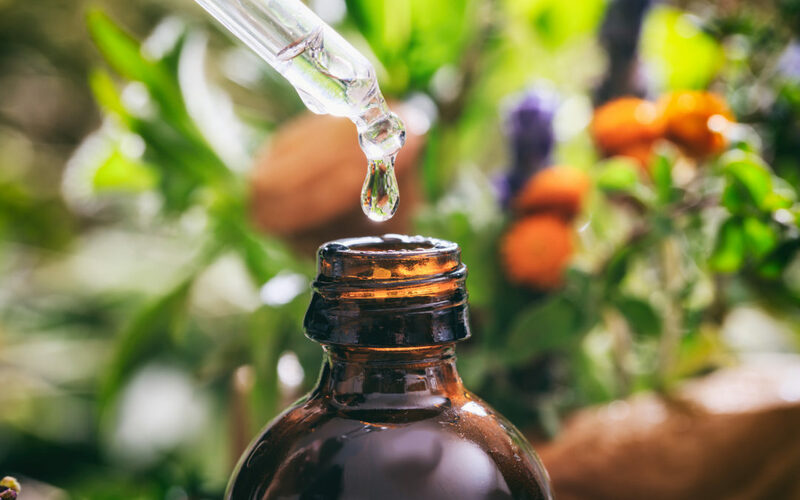 Aside from these health benefits, essential oils can also help you manage withdrawal symptoms and overcome addiction in a pain-free way. Also referred to as essential oil therapy, this procedure promotes well-being and helps you control the painful withdrawal symptoms. Simply add a few drops of essential oil in to a diffuser, along with carrier oil or water. Place the diffuser in your bedroom and breathe in the refreshing aroma during treatment. You can also inhale essential oils by placing a few drops on a tissue paper. However, the exposure to pure essential oils may trigger allergic reactions. Therefore, to be on the safe side, it’s best to dilute it with carrier oils to prevent negative side-effects. It’s important to keep in mind that aromatherapy isn’t an alternative to medical treatment. You should try it with addiction treatment to boost recovery. A popular way to use essential oils is to apply them on your skin since your skin can quickly absorb it. However, concentrated essential oils aren’t safe and they may worsen your condition. It’s recommended to dilute these oils with carrier oils for your own good. Massage your skin with the diluted essential oils when you’re experiencing withdrawal symptoms. This effectively reduces body aches or muscle cramps and provides relief from other withdrawal symptoms. Add essential oils to your bath to get relief from withdrawal symptoms and get refreshed. Mix essential oils with Epsom salt and then add this mixture to bath water. Refrain from mixing in any chemical products to enjoy the benefits of essential oils to the fullest. Since it’s heavily concentrated, be careful with the amount of essential oils you add to your bath water. If you don’t dilute it prior, it may lead to adverse effects and risk your health. However, don’t forget to get in touch with your doctor before you opt for aromatherapy treatment. Lavender oil is known for its soothing scent. It induces calming effects, reduces cravings, and helps you recover from painful physical conditions. It works best in treating withdrawal symptoms of opiates, alcohol, and nicotine. Perform a massage with a mixture of diluted lavender, chamomile, and bergamot essential oils to avail its health benefits. Whether you’re suffering from substance withdrawal symptoms or undergoing treatment for binge eating disorder, the lemon essential oil is just what you need to alleviate withdrawal symptoms. It improves mental clarity and curbs your cravings. The ginger essential oil is rich in antioxidants and possesses a strong fragrance. When applied topically or inhaled via a diffuser, it suppresses cravings, protects your liver from harmful withdrawal symptoms, boosts your immune system, controls stress or anxiety, and improves your digestive system. Withdrawal symptoms of nicotine and alcohol are quite painful and lasting, which is why many people struggle with addiction. The black pepper essential oil is an effective treatment for withdrawal symptoms. It’s suitable for patients receiving treatment for nicotine and alcohol withdrawal, but you should discuss with your doctor beforehand to determine whether or not it’s safe for you. Addiction recovery is a big challenge, particularly because of withdrawal symptoms. At Scottsdale Recovery Center, you can receive addiction treatment from experienced professionals. 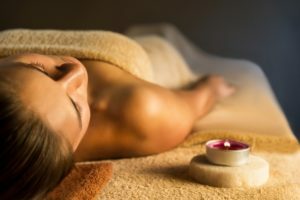 Moreover, you can also opt for aromatherapy at your doctor’s advice to boost recovery and overcome withdrawal symptoms.